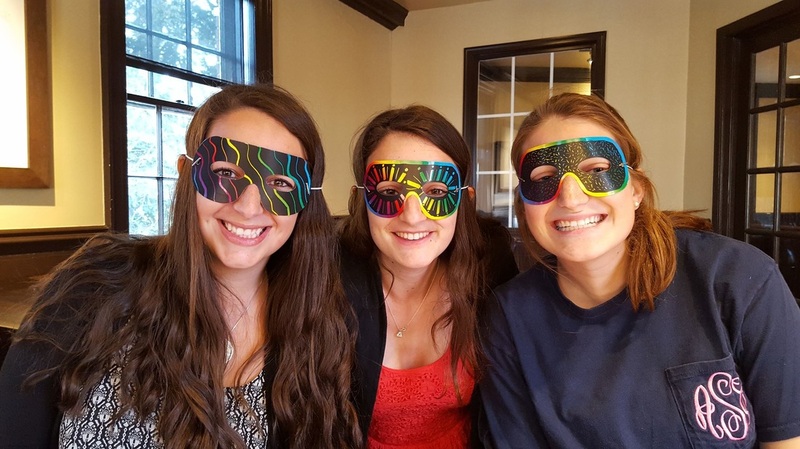 Engagement interns enhance the diversity and creativity of programs on Grounds that enable students to connect to the Jewish community, Jewish tradition and Israel. According to Hillel, engagement is the act of reaching others, getting to know them and connecting them to relevant and meaningful opportunities. The Brody Jewish Center is looking for a cohort of innovative, enthusiastic leaders to serve as community organizers and create a welcoming atmosphere for Jewish students at UVa. Information about responsibilities & expectations of each intern available below. · A $300 stipend toward a Jewish experience, such as participation in ASB, Jewish books, a trip to Israel or a learning opportunity. Design 1 unique Jewish experience for peers each semester. The Social Justice Engagement Intern is motivated by his/her own passion for social justice. This intern will build community organizing initiatives related to social issues that are significant to Jewish students at UVa. In your application, please indicate which social issues most interest you. Birthright Engagement Interns are currently eligible and committed to participating in Birthright Israel with UVa this Winter. 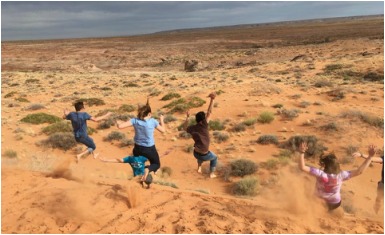 Those selected to serve as Birthright Interns are guaranteed a seat on Hillel at UVa’s Birthright bus. Greek Engagement Interns are involved with Greek Life and aim to build community among Jewish students in various Greek houses. First-Year Engagement Interns are dedicated to building relationships with first-year students and helping them acclimate to university life. 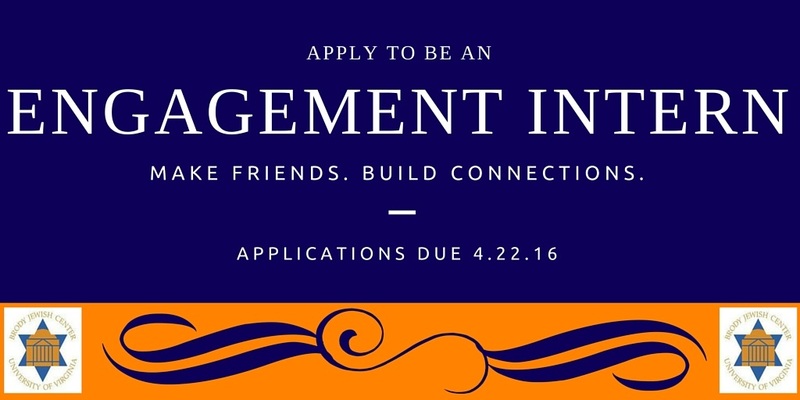 First-Year Engagement Internships are a resource for new students as they transition to UVa. General Engagement Interns building relationships with uninvolved Jewish students, learn their interest and connect them to meaningful opportunities. This position was created knowing that the entire UVa population does not fit into the above mentioned categories. General Engagement Interns are connected to diverse networks and are motivated to meet new people.